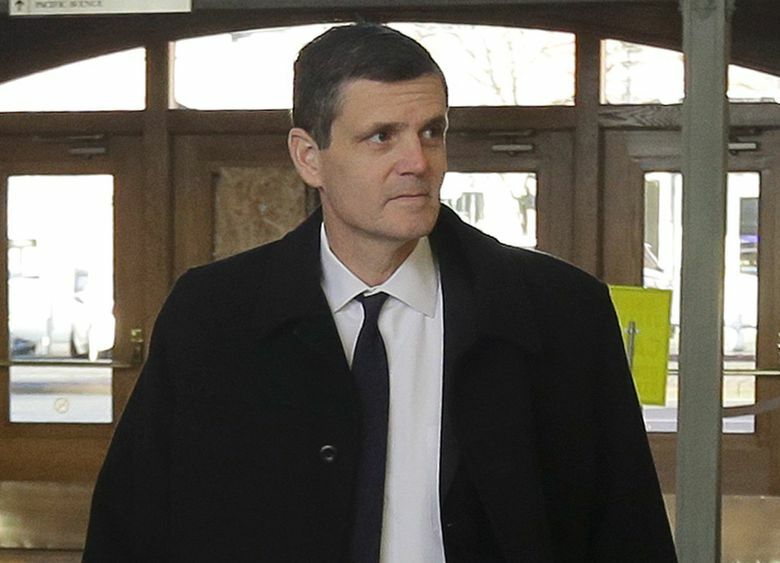 OLYMPIA — State Auditor Troy Kelley, back at work after his federal trial on theft and money-laundering charges, has fired some of his office’s senior staff — and the governor wants him to explain. Kelley’s move continued the 14-month run of turbulence in the office, which now has no apparent chief of staff or communications director. This week, Kelley asked for the resignation of both his chief of staff and spokesman, and put a former spokesman on administrative leave. “On Tuesday, just before noon, Troy walked into my office, said he wanted my resignation, and he got it,” said Doug Cochran, who served as Kelley’s chief of staff. “I asked just out of curiosity, why, and all he told me was for the good of the organization,” said Cochran, who served as deputy chief of staff under Brian Sonntag. Adam Wilson — who has recently served as spokesman for the office — said Friday that Kelley asked for his resignation Thursday. Wilson said he asked Kelley why he was being fired, but Kelley would not give a specific explanation. “I think that everyone in the office has done their best under difficult circumstances,” Wilson said. On April 26, jurors acquitted Kelley of making a false statement. They couldn’t agree on the other 14 federal counts brought against him, including charges of theft, money laundering and tax evasion in connection with a real-estate records business Kelley owned before his 2012 election as state auditor. Kelley had faced up to 20 years in prison on charges from a federal grand jury alleging he stole upward of $3 million from homebuyers during the pre-recession real-estate boom by failing to make refunds to clients of his now-shuttered real-estate reconveyance company, Post Closing Department. The day after his trial concluded, Kelley returned to the Auditor’s Office. Kelley this week also ordered that Thomas Shapley, a part-time special assistant to Deputy State Auditor Jan Jutte, go on paid administrative leave until his scheduled retirement next month. In an email to The Seattle Times, Kelley declined to comment on the firings. He cited a comment by state Attorney General Bob Ferguson in an unrelated matter about accepting the resignation of a state employee. “We just don’t talk about personnel matters,” Kelley wrote, citing Ferguson. The firings took Jutte, who has been on vacation, by surprise. “I don’t think Troy has been very respectful in his firings this week,” she said. Jutte declined to comment on her future plans until she returns to the office next week. Other staff members at the office have been calling Jutte and asking if their jobs were also at risk, she said. Shapley — who had been scheduled to retire in June — said he stepped down as Kelley’s spokesman last spring after a news conference where he was made to give a news statement on Kelley’s behalf. Shapley later took issue with the accuracy of the statement, and intended to resign, but Cochran persuaded him to stay on in a different role, both men said. Wilson filled the role of spokesman after Shapley stepped aside, and “Adam has just done a great job of walking a very difficult line,” Shapley said. Gov. Jay Inslee sent a letter to Kelley on Friday asking the auditor to explain the reason for the resignations. Under the state constitution, Inslee has the authority to ask for written explanations by state officers such as Kelley on their actions. “As far as we know, these folks were responsible for keeping the office afloat during Troy Kelley’s absence, and it’s concerning to see that he’s letting them go without any evident reason,” said Inslee spokeswoman Jaime Smith. Kelley, a Democrat, who earns $120,459 annually, has said he will not run for re-election in November.